Aitken Spence Travels, the largest inbound tour operator in Sri Lanka, welcomed its 200,000th happy visitor a few days back for the FY 2018/19. The company has recorded a growth of tourist arrivals essentially building on its past performance of 178,000 happy visitors during its previous FY of 17/18. Aitken Spence Travels generated more than 400,000 room nights to local hotels during the FY 18/19, making it the single largest contributor to Sri Lanka’s Hotel industry. The company has trained and provided many direct and indirect employment opportunities to Sri Lankans in the tourism industry. Just as the country’s top source markets generating visitors, Aitken Spence Travels top performing markets were in line with the country arrivals. Of these markets, the company saw a significant increase in visitor arrivals from Australia due to the national carrier operating direct flights from this source market. It is noteworthy to state that when direct air connectivity is established, the impact is to the entire tourism industry. The other segments such as Cruise, Special interest groups, Sports tours, Nature and Luxury tours, have contributed to the positive visitor numbers handled by the company. As the largest inbound tour operator in Sri Lanka, Aitken Spence Travels allocates a high marketing budget to promote destinations to Sri Lanka, without being dependent on destination promotions. Also, the company forges ahead by taking risks when entering new markets and expanding its business to continuously cater to the varying demands of the traveller. The company is a joint venture between Aitken Spence Plc, a leading blue-chip conglomerate, diversified to many fields and TUI, the largest integrated tourism company in the world, flourishing on the best practices of these two reputed & strong shareholders. Aitken Spence Travels serves its customers with a high level of professionalism and dedication and together, these efforts have culminated in the company also handing charters from the UK, Scandinavia and Poland. The Company’s cruise unit has showcased their expertise by catering to the demanding shore excursion business in the country which is a growing segment within tourism. By handling large cruises as well as exclusive up market cruises, Aitken Spence Travels had developed innovative ways to ensure that most of the cruise passengers’ explore the diversity of the country, the people and our culture, while securing future business needs of the Cruise shore excursion operations. Further, the MICE tourism business handled by the company, caters to the delivery of diverse requirements. Conceptualising themed weddings specifically for the Indian market where the wedding segment is growing rapidly and also extending services for experiential tours has strengthened the companies market position. Whilst, the different source markets have been generating more numbers, the company has invested on technology and other in-house systems to improve efficiencies and enabled the operational staff to have a seamless operation, driven by technology. “Over the years Aitken Spence Travels has established strong partnerships with many leading tour operator partners. The trust they have placed in the Aitken Spence brand coupled with our ability to cater to the many diverse demands and needs of the discerning traveller has given us an edge over competition. 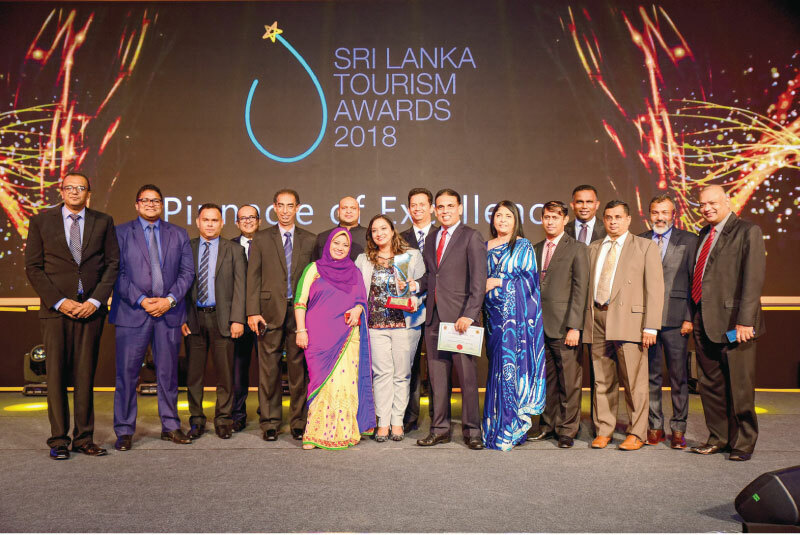 It is a great achievement for us to continue to keep raising the bar year after year and we will continue to cater to the different segments with innovative solutions,” commented Nalin Jayasundera, Managing Director of Aitken Spence Travels. “This incredible journey would not have been possible without the tireless efforts of many stakeholders. We extend our gratitude to our Chairman & Board of Directors, our valuable tour operators, the hoteliers, airline operators and all other stakeholder for their trust, belief and support. An operation of this magnitude could not have been possible without the efficiency and dedication of our staff at Aitken Spence Travels and the senior management team.